As a new mother, you naturally want to ensure your new baby’s future in every way. For many new mothers, infancy is a time for celebrating new life, and making a will is the last thing on their minds. For others, the process of bringing new life into the world sparks intense feelings of wanting control and needing organization. Regardless of where you fall on that spectrum, you might be struggling to figure out what steps you need to take to protect your children’s future should the unthinkable happen. Here are five key things every new mother should know about wills. 1. Naming a guardian could be the most important part of your will. If you pass away while your child is a minor, the first issue to be addressed is who will assume responsibility for your child’s care. If you don’t name a guardian for your child in the will, the courts may decide this question for you, and the guardian might not be the person you would choose. Selecting a trusted guardian is in many ways more important at this stage than deciding about how to pass any assets you own. 2. Name an executor you trust. To ensure your child does receive all that you have allocated when she comes of age, choose a trustworthy executor. Many people choose a family member, but it’s just as acceptable to appoint a trusted attorney to handle your estate. Typically, an attorney has no emotional attachment to the family, which might seem bad, but usually results in less potential conflict. 3. Named beneficiaries on your financial accounts may override the will. Many accounts allow you to name a beneficiary. When you pass away, the funds go to the beneficiary named on the account, even if your will states otherwise. If you’re creating a will with your child in mind (or adding the child to an existing will), you should review your investment and bank accounts with your financial advisor to make sure there are no inconsistencies when naming beneficiaries. It’s also a good time to check retirement account and life insurance beneficiary designations with your financial advisor and your attorney. 4. A will is not always the right document for your goals. When naming your child as a beneficiary, a will only goes into effect after you die. If your will leaves property outright to a minor child, the court will step in and hold the assets until your child turns 18. Most 18 year olds lack the maturity to handle even a modest estate, so we don’t recommend outright inheritance for minor children. 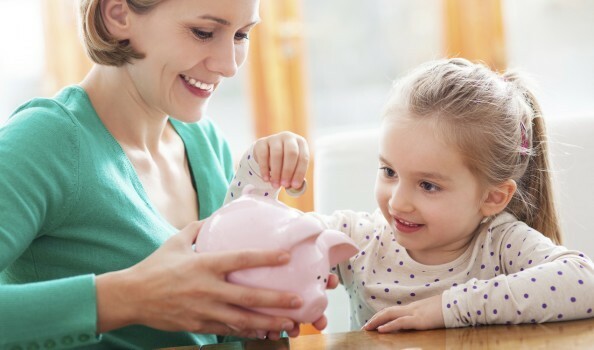 A trust, on the other hand, goes into effect when you create it and can provide structure to manage the assets you leave behind for the benefit of your child. An experienced estate planning attorney can advise you on the best option for your family and your circumstances. 5. In the absence of clearly stated intentions, the state steps in. Think of a will, trust and other estate planning documents as an instruction manual for your executor and the courts to follow. You must be clear and consistent in your stated intentions regarding your child, as well as for others. If you’re not clear or if you don’t leave any instructions at all, the probate courts will step in and follow the government’s plan, which can lead to long delays and is probably not the plan you would have selected for your child and family. Providing for your baby’s long-term welfare may start with just a simple will, but to be fully protected, you probably need more. That’s why it’s important to talk with a competent estate planning attorney to make sure you have the right plans in place to fulfill your goals. We’re here to help! Contact us today to talk about your options to protect your new baby.